How to file for a Contested Divorce in Boston? If the parties cannot cooperate in order to file for an Uncontested Divorce, then the only other option is to file for a Contested Divorce. A contested divorce is when one party files for a divorce and starts a law suit against the other party. A contested divorce starts with the filing of a Complaint for Divorce. After you pay the court fees, the court will issue a Divorce Summons. You must then have the Complaint for Divorce and Summons served by a sheriff or a constable on the other parties, either at their home or place of business. This starts the divorce process when the other party gets notice that you’re initiating a divorce. Unlike an uncontested divorce where the procedure and process is pretty straight forward and you simply follow the steps, there is no such thing in a contested divorce. You can choose to ask for evidence and discovery maters. You can choose to file motions and temporary orders. You can choose to subpoena certain information or request experts to testify. You can get a Guardian ad Litem to do investigations. There are a lot of possible ways to proceed at this point and depending on what issues are involved in your case, you might choose to take different routes than others. 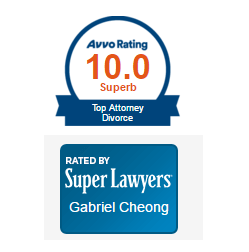 After filing for the divorce, is this where you might need legal advice to recommend your next steps. This is where most people who do not have lawyers get stuck and start to go around in circles. Many people believe that if you appear in front of the judge the first time, they will make a ruling on your divorce immediately. That does not happen. Contested divorces take anywhere from 6 months to a number of years to resolve. If you do not know the shortest route to where you need to go, the divorce will take longer. ← Is a One Day Divorce Possible in Massachusetts?